the SLG-4MED power strip and the new generation of ergonomic R’Care Carts with integrated 12-hour LiFe battery and up to 5 years warranty on battery, electronic and mechanic. Dirk Werth and Joerg Draeger are also directly on site as your contact persons and look forward to meet you. A real world premiere are also the Panel PCs of the series MP-6xx, with Intel processors of the 6th. generation, VPro support and 8 hours hot-swap batteries. As a partner of AG NEOVO, we are showing the new Medical Display line for the first time in Germany at Medica. The MX series features a glass front and Dicom preset. The MD Series is a cost-minimizing solution that complies with medical standards. As German distribution partner for Ametek-Powervar, we provide the Powervar Security II Med UPS Series. These UPS devices are available in sizes from 420VA to 3000VA and have a true sine wave output conditioning, especially for medical use. Another surprise awaits you with the presentation of the hygiene keyboards and mice. A big glass dishwasher will demonstrate the quality of our keyboards. If you would like to make an appointment, please contact us by e-mail. 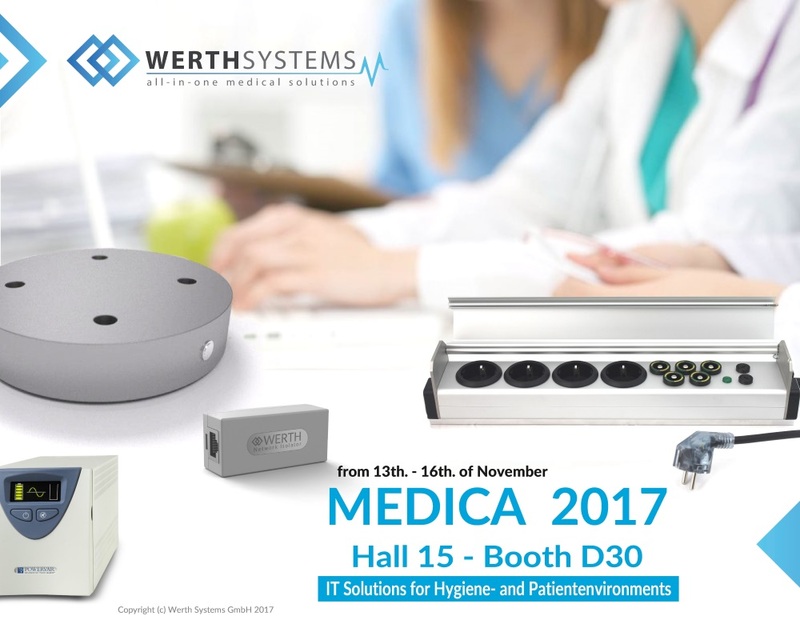 E-Mail: info@werth-systems.de Do not miss the opportunity to inform yourself on site and to see our team again. We are looking forward to your visit.